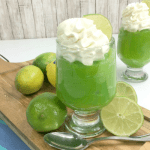 This Weight Watchers Lime Dessert is perfect for spring and summer! The bright color of this Weight Watchers recipe is so pretty and with only 2 Freestyle SmartPoints it is sure to please! Dessert can be a big challenge when you are trying to lose weight. For some reason my sweet tooth has been on overdrive lately and I am constantly thinking about sweets. This problem has caused me to find new ways to make healthier versions of desserts! 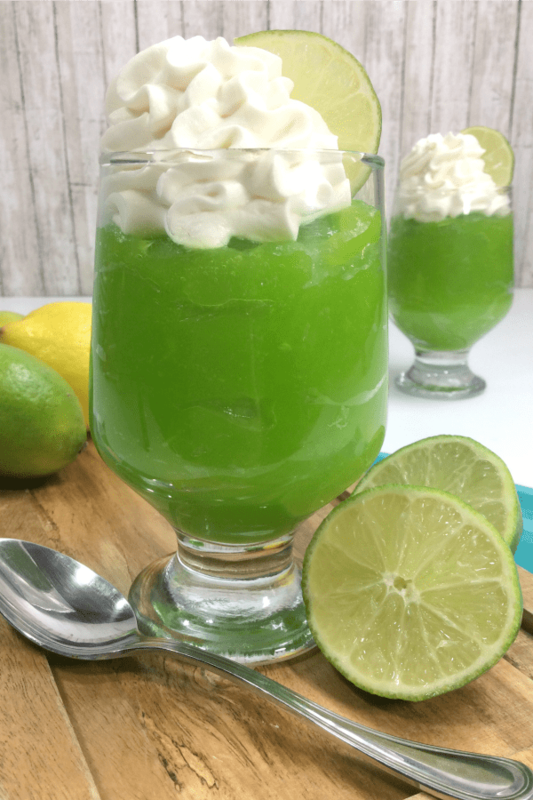 This Weight Watchers Lime Dessert is a great example of how easy it is to make a lower point dessert option for the whole family. This is a four ingredient recipe and you know it will be easy to make when it only has four ingredients! This easy dessert is a breeze to make. 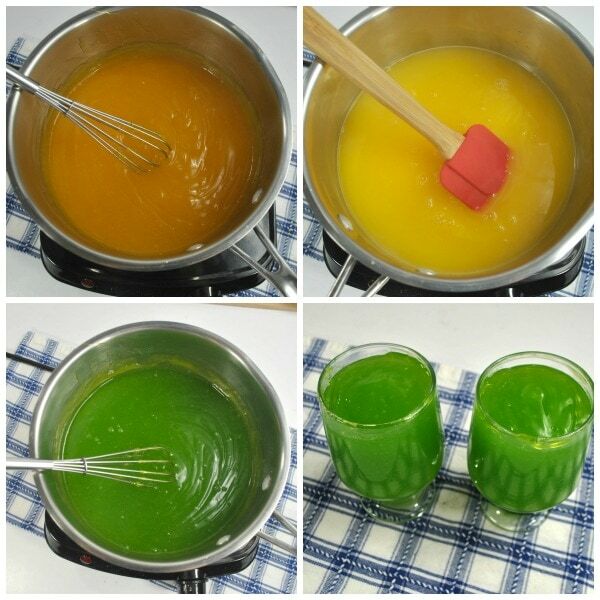 Start off by mixing the water and the pudding mixes together in a medium saucepan. Put the saucepan over medium to high heat and bring to a boil. It is important to whisk the mixture continuously while it is heating. Keep whisking until the mixture thickens. Now add the jello mixes and whisk until it is all well combined. Pour the yummy mixture into small dessert glasses and top with some sugar-free whipped cream. You can garnish the dessert with wedges of lemons or limes and even a mint leaf if you like! The nice thing is that you can make these up ahead of time and put them in the refrigerator…just add the whipped topping right before you serve! 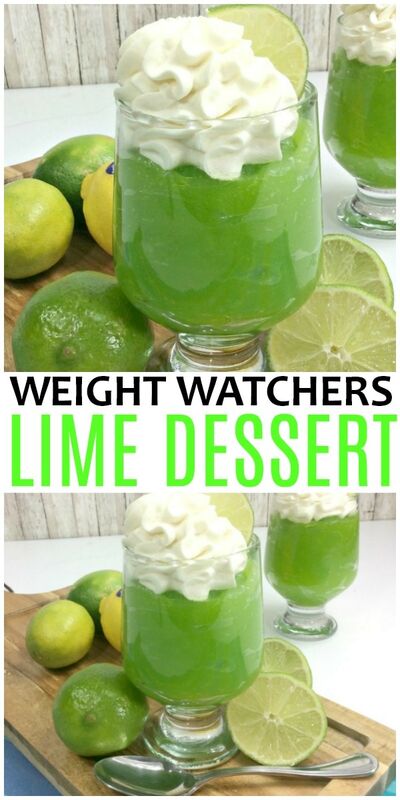 I know you will want to try out this easy Weight Watchers Lime Dessert recipe. The full ingredients and instructions are below on the recipe card. You can download and print this off below! This recipe is 2 Freestyle SmartPoints per 1/2 cup serving. That includes 2 tablespoons of sugar-free whipped cream on top! 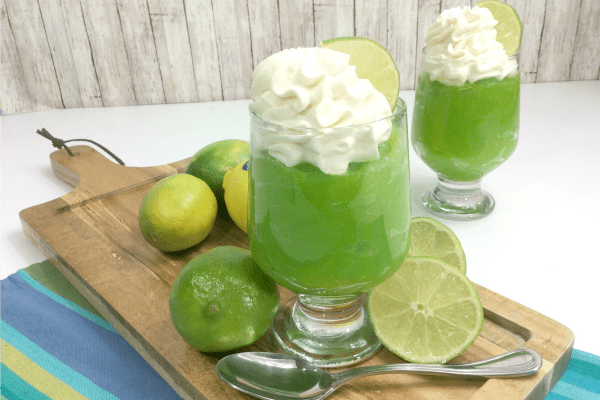 This Weight Watchers Lime Dessert only has 4 ingredients and is perfect for spring and summer. 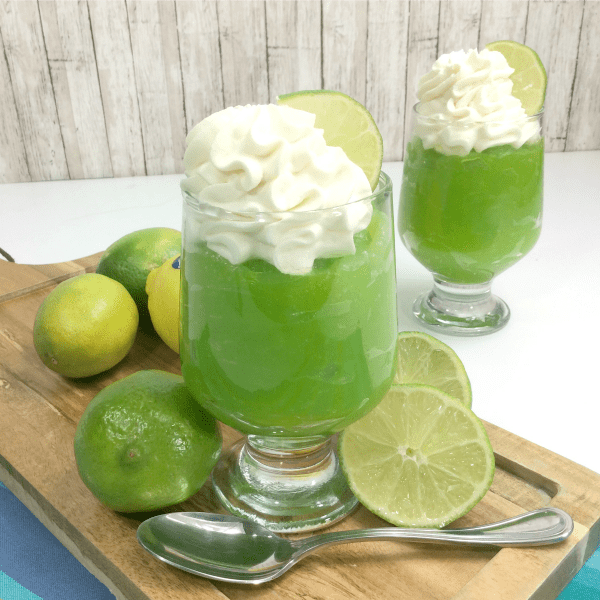 Pour the dessert into pudding glasses and top with whipped topping, mint, lemon and lime wedges as desired. This has 8 servings that are 1/2 cup each. This allows for 2 tablespoons of whipped cream on top of each serving. Be sure to PIN this recipe so you can come back and make it again and again!